As we know, plastic end caps is a simple devices to cover the end of the conduit or tubing. Generally, we use plastic conduit or tubes with on ends, it is not securely closed, there is dust, water and insects are easy to damage the wire and cables.Under moist weather condition, the inside of the pipe may even corrode. So many workers refuse to use this pipes. To protect them well in such situation, end caps are used to cover them and protect them. End caps are made from plastic, they are fixed to the end of the pipes. Besides protect pipes in fixing, and also protect them during transportation.Under moist weather condition, the inside of the pipe may even corrode. These plastic caps are available in various shapes and colors to meet the various requirement of the pipes manufacturer. The caps are manufactured using IDPE or HDPE depending on the specific need of the customer. Some end caps are also manufactured using IIDPE and PP. The caps are flexible and therefore they are appropriate for pipes of varying thickness. Based on the end caps using place, tapered plastic caps are the latest design accepted by most of the industries. This is because these end caps which are flexible in nature can be used for pipes of varying diameter. They are as secure as threaded end caps. 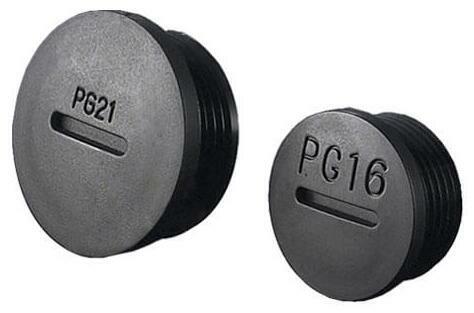 On the other hand threaded end caps are suitable only for pipes of specific diameter. In all, the plastic end caps play a great role in keeping the pipes clean so that it will be in a ready to use condition, and it makes the safer electric wiring.